Sometimes, things don’t turn out like we expect. This is the case with Chevrolet and the Chevelle. It started as a conventional car but evolved into a road warrior, carrying the muscle car torch for a new generation. 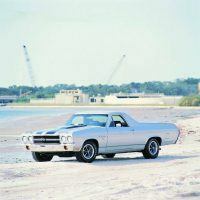 The Chevelle had a body-on-frame design that, while basic, really unlocked its potential as a muscle machine. There was a time when the LS6 Chevelle was the fastest American car ever produced. 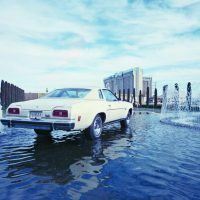 The Chevelle was built on General Motors’ A-Body platform, which endured through the company’s change in the early 80s to more front-wheel drive vehicles. The Chevelle was remarkably simple, something car buyers at the time deeply desired. 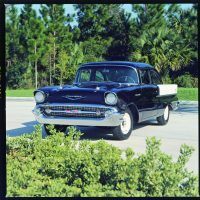 In fact, in 1963, the first year of production, Chevrolet sold nearly 400,000 of them. During its run, the Chevelle earned a reputation for reliability and flexibility. 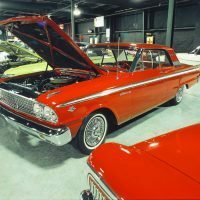 There were multiple options, from sedans and coupes, to convertibles and station wagons. Later came the distinguished Laguna of NASCAR fame; even the El Camino had Chevelle flare to it. When production ended in 1978, Chevrolet had sold over 7.2 million Chevelles. 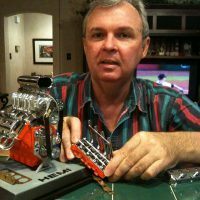 Mike Mueller, a lifelong car enthusiast, has worked as an automotive journalist and photographer since 1991. A graduate of the University of Illinois, Mueller has held staff positions with Automobile Quarterly, Muscle Car Review, and Mustang Monthly. 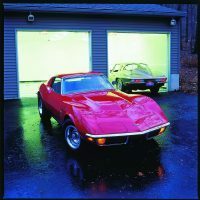 He has written and provided photography for dozens of automotive books, and contributed photos to Collectible Automobile, Esquire, Life, and Men’s Journal. 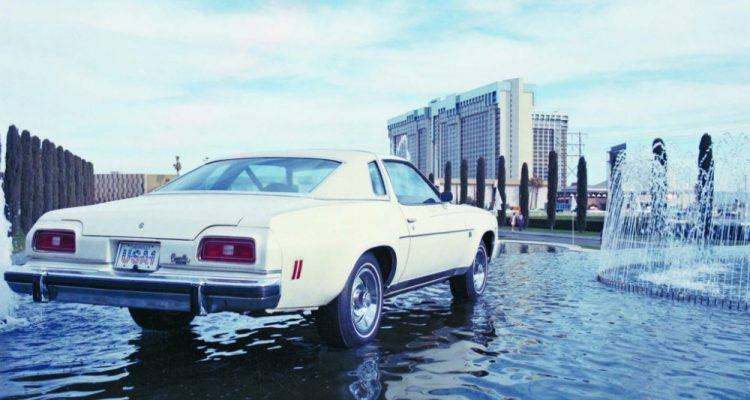 The Chevelle is one of the most beloved in Chevy’s history. 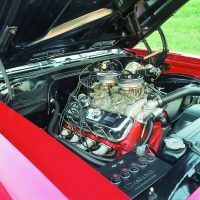 Chevy Chevelle: Fifty Years chronicles this crown jewel, from its humble beginnings to its hallowed status at car shows around the country. 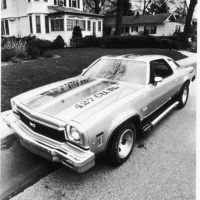 The book was licensed by GM with never-before-seen archival photographs of the infamous car. Chevy Chevelle: Fifty Years is available through Amazon and Motorbooks. 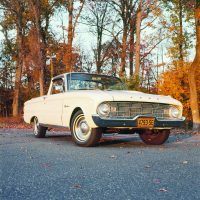 Rolling on a 109.5-inch wheelbase, Ford’s downsized Ranchero for 1960 was 19 inches shorter overall compared to its full-size 1959 forerunner. Six-cylinder power was the only choice beneath the hood. Photo: Mike Mueller. 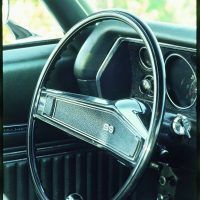 As usual, an SS-trimmed steering wheel was standard inside the LS6 Chevelle in 1970. Photo: Mike Mueller. 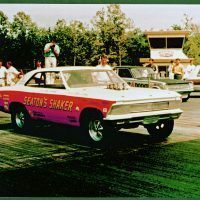 Another evolutionary link between the steel-bodied FX machines and modern funny cars was Pete Seaton’s “Seaton’s Shaker,” a 1966 Chevelle based on a stock chassis. While some fiberglass panels were used, much of this altered-wheelbase match-racer consisted of factory-supplied steel bodywork. Power came from an injected Mk IV big-block. Photo: Larry Davis. Mike Mueller, author of Chevelle: Fifty Years. Last weekend in the Automoblog Book Garage, we traveled down one of the world’s most infamous highways. 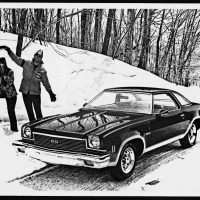 1 Comment on "Automoblog Book Garage: Chevy Chevelle: Fifty Years"